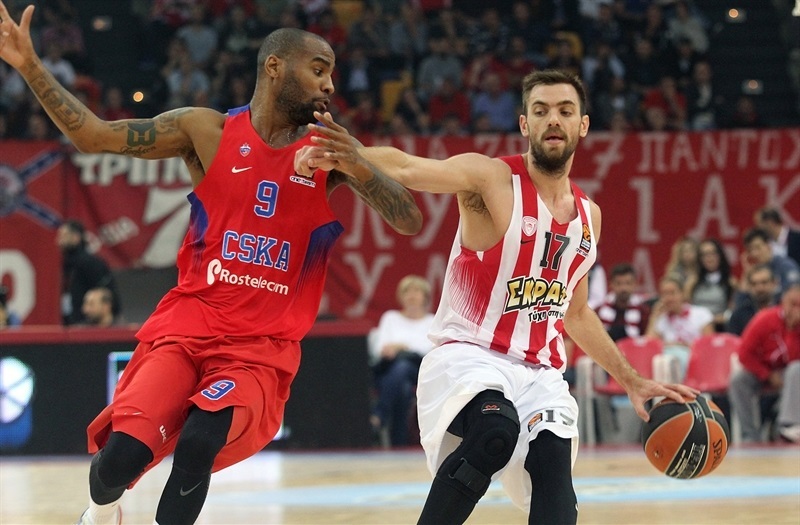 The last undefeated team left standing in the Turkish Airlines EuroLeague is none other than CSKA Moscow after a 75-81 road victory over Olympiacos Piraeus in the Game of the Week on Thursday in which the champs led from the opening tip to the final buzzer. The score was deceptive as CSKA's lead was 10 points or higher from the second quarter till the last couple of minutes. 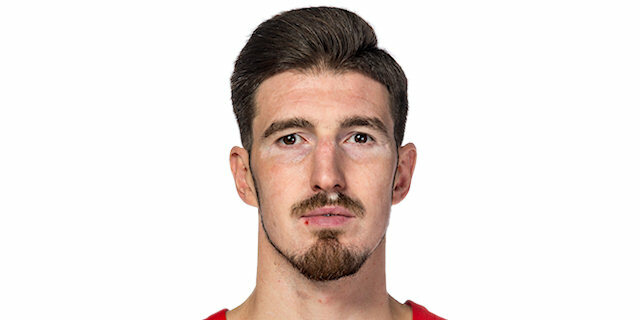 And even when Olympiacos came close at the end, Nando De Colo was on hand with a big shot for the champs. 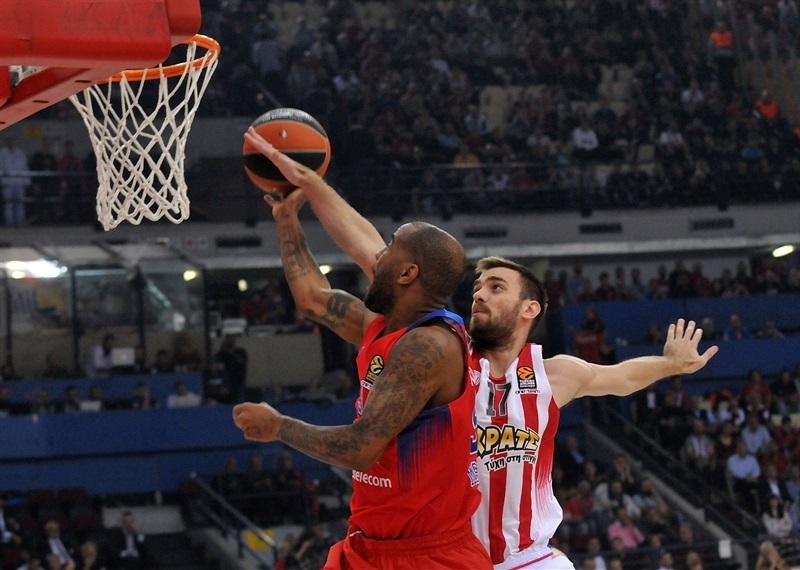 CSKA is 5-0 and broke the three-game winning streak of Olympiacos, whose record dropped to 3-2. 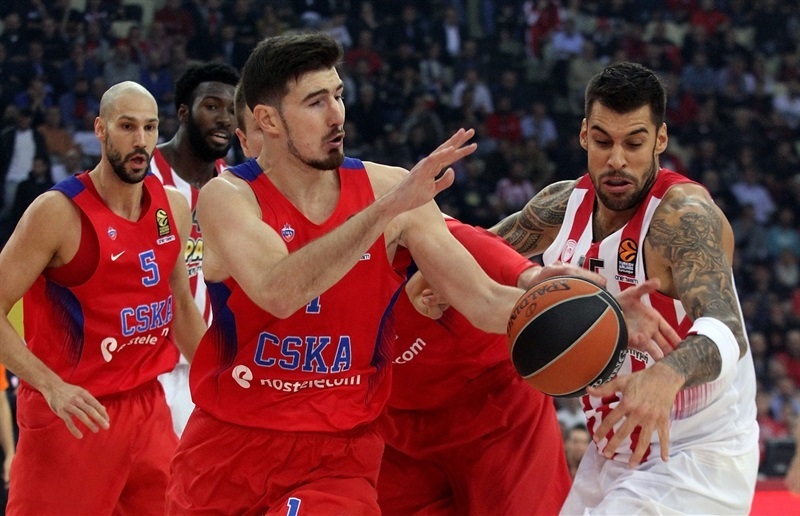 De Colo, last season's MVP, paced the winners with 23 points, 9 rebounds and 3 assists. 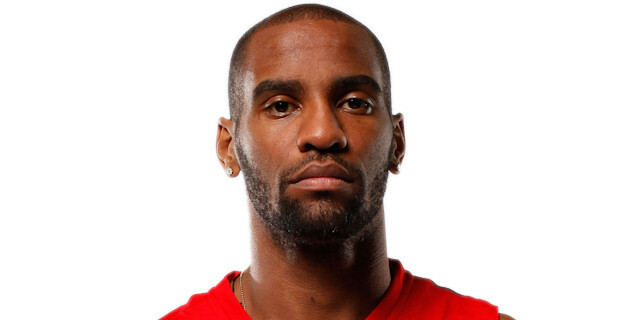 Aaron Jackson and Kyle Hines scored 13 each, Andrey Vorontsevich 11 and Milos Teodosic 10 for the winners. 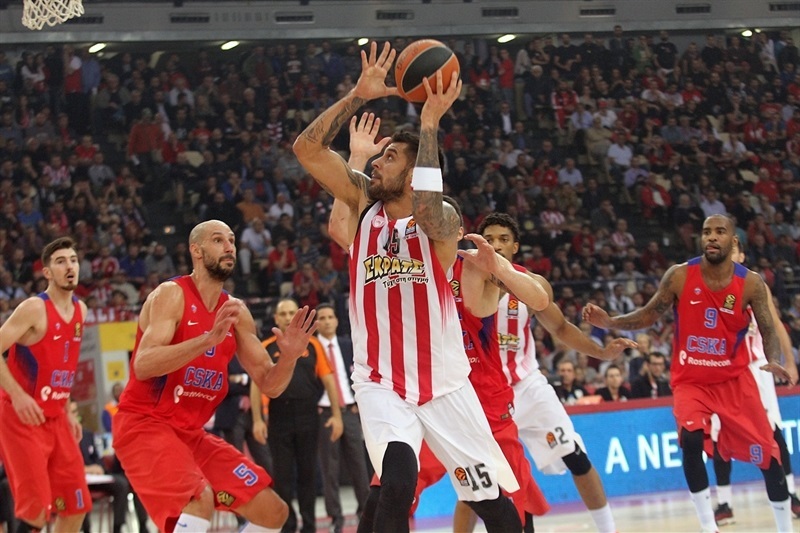 Georgios Printezis was the big gun for Olympiacos with 26 points and 7 rebounds, while Vassilis Spanoulis scored 14 and Khem Birch 10. 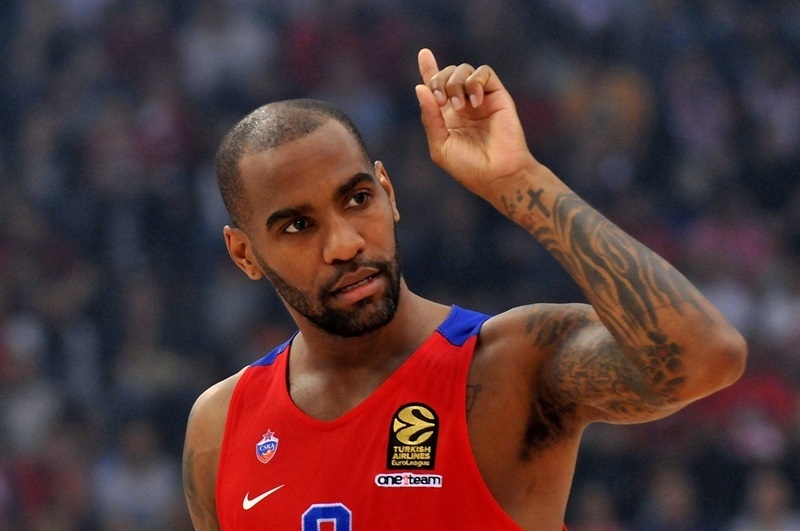 De Colo and Vorontsevich got CSKA off to a 6-0 start and soon Jackson lit up from the three-point line to make it 7-14. 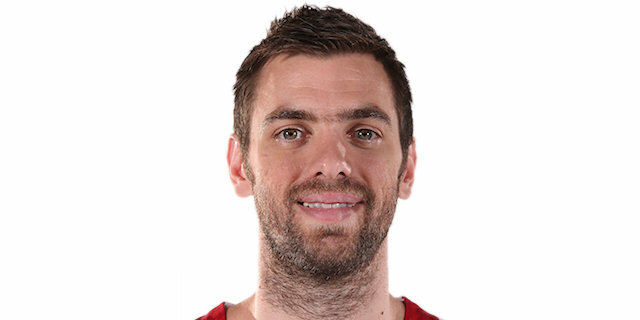 Printezis caught fire next for Olympiacos and cut the difference until his team was within 21-25 at the end of 10 minutes. While the its pass-masters took over - with De Colo sending a no-look pass and Teodosic one between a defender's legs to Hines - so did CSKA's defense held Olympiacos scoreless for the first 6 minutes of the second quarter, until Ioannis Papapetrou's three-pointer made it 24-33. Before the half ended, it was Victor Khryapa feeding Hines for a dunk and CSKA's high lead til then, 28-44, at the break. 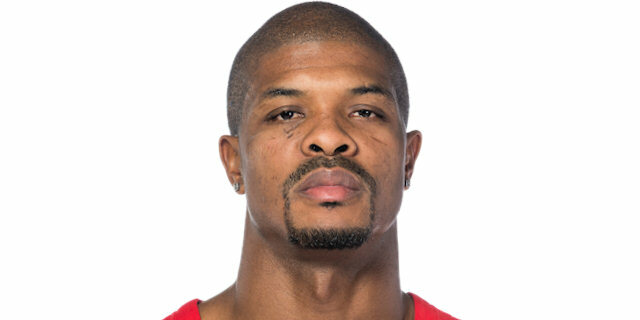 Olympiacos came out in the third quarter like a house on fire, scoring 11 points in less than 3 minutes as compared to 7 in the whole second quarter. But CSKA did not wilt and 5 points in a row by Vorontsevich sustained his team until threes by Teodosic, Jackson and De Colo restored a 51-66 advantage after 30 minutes. It was still 60-72 with under 4 minutes left, when Olympiacos began whittling away with all the points in an 13-3 run shared by Printezis and Erick Green that made it 74-77 with 1:17 to play. Hines came up with a huge offensive and hit 2 free throws, then Vorontsevich blocked a shot leading to 2 more by De Colo, defusing the drama. 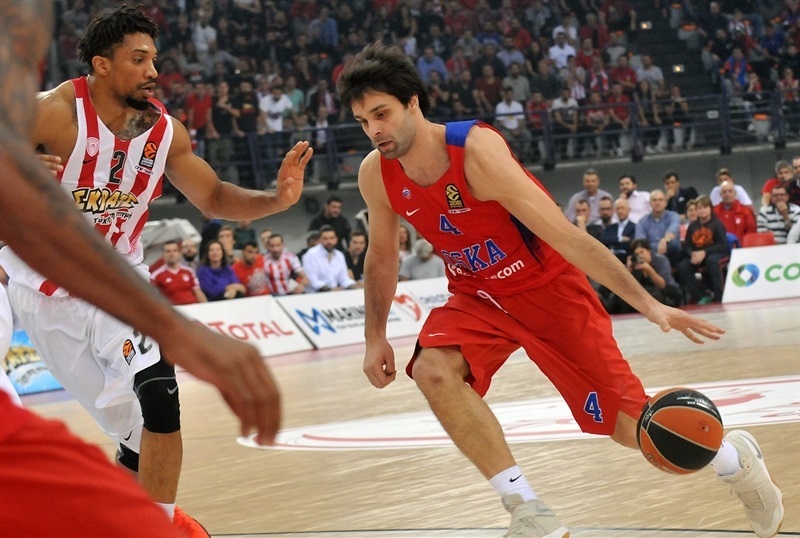 CSKA heads home to host Real Madrid in Round 6, while Olympiacos takes to the road against Galatasaray Odeabank Istanbul. "Today we didn't perform as we should to play a difficult and tough game. We missed all the small battles: defensively, one-on-one and rebounds. On offense we were nervous, we didn't perform as we can, we didn't play all together. Our offense, especially in the second period, hurt our game. We didn't find solutions and didn't play with confidence. We scored only 7 points in that quarter and that was the most important part that caused the loss. In first half, we had 12 turnovers, and this is a big number to play with against CSKA, a team that punishes those mistakes. Yes, they scored tough and crucial shots, but that is what hurt us: first, our bad offense in the first half; and second, what I said about defense, giving up cheap points on layups and offensive rebounds. In the second half, our third quarter was better, and in the fourth we tried to come back to the game. We played a small lineup and tried to press and be more aggressive and we came back. Of course, the lead was big and CSKA had the rhythm and experience and they deserved the win. Congratulations to them. We continue. It's one loss in a marathon of games. We need to continue to improve and learn from our mistakes in this game." "I think overall we were better on the court. We showed determination from the very first moment, knowing what we were going to face over here. 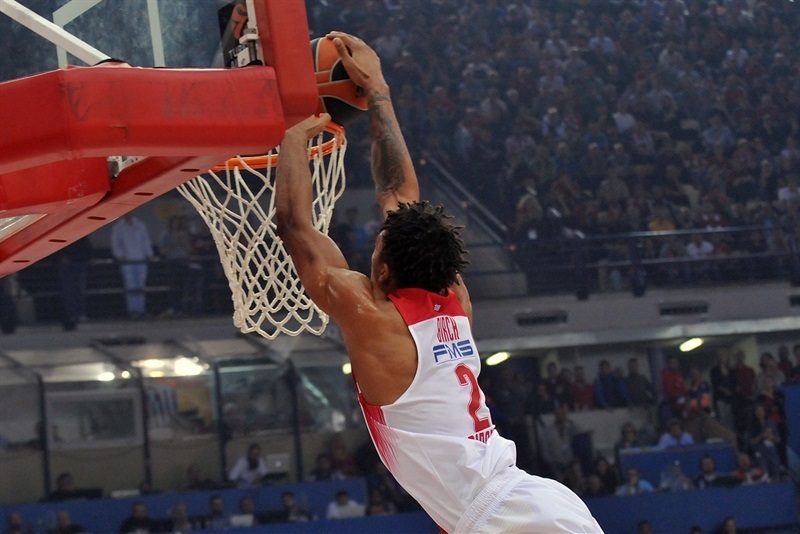 Olympiacos is a team with very concrete and direct ideas on what they want to do on the court. They have changed some things this year: running more, being more physical on the boards, and trying not to turn over the ball. The fact that we were dominant in those elements, considering that we did not let them run in the open court and forced them into turnovers from their best players, and Vassilis Spanoulis is one of the best there is. And my team not turning over the ball, as I told them, lets us make plays." "I think we were dominant in the first half. I said in half time that knew and expected Olympiacos to come back. They have a great team, they are built to go to the Final Four, so we expected that. But we took care about the ball. And what I said in the locker room is exactly what happened after that. You know many times when we play a great half, we usually go in the locker room and say, 'Forget about the first half, we got to play the second.' I went in today and said, 'Remember the first half and try to control the ball, not turning it over that much.' I think the number of 10 turnovers is great for us. When we don't turn over the ball, we can make big plays. Defensively, also, we were good. We did not allow Olympiacos to run in their home. I think they were first in productivity on primary and secondary fastbreaks. So that's another win in this starting stretch of Euroleague. Congratulations to all the players. They had a huge contribution, each of them." "We fought only at the end. But when you face CSKA Moscow, you have to play for 40 minutes. We came back but we lost a rebound in a crucial moment and we lost the game. We didn't have rhythm inthe game and that's why we play badly on offense." "It was a well fought game. 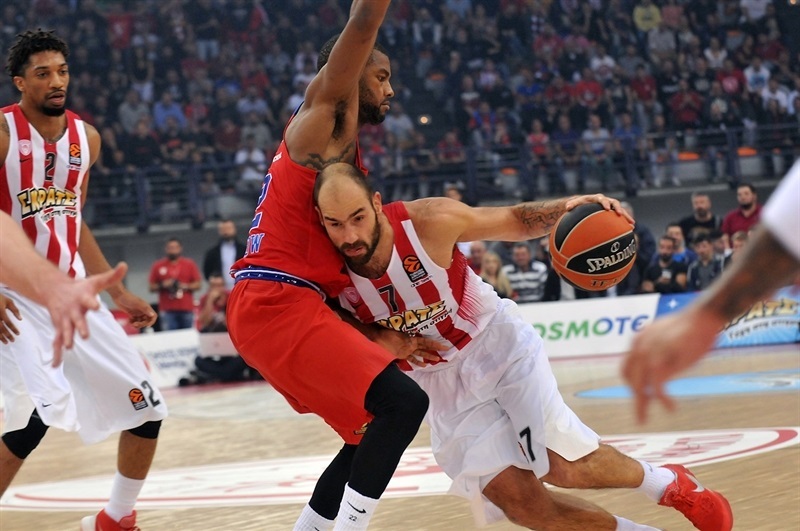 Olympiacos did a good job of fighting to come back in the game. But I think our coach made a really good speech before the game. 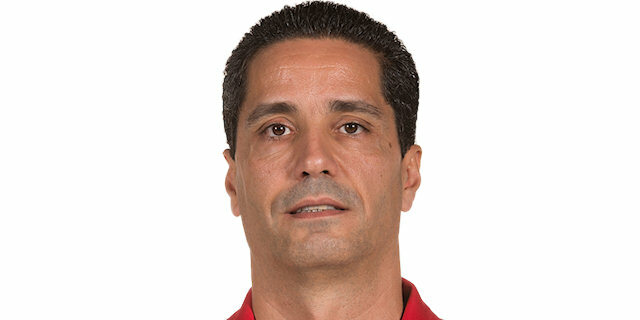 He prepared us well for the game and how games Olympiacos won were the games they jumped out on teams in the first quarter. He wanted us to be the team to jump out in the first quarter, and we did so." "It was a good team victory for us, good team defensive game, especially playing on the road against a really good team like Olympiacos. We wanted to play really good defense, they have great offensive players. We forced them to 17 or 18 turnovers. I think that was the biggest difference and the biggest key. It is a great confidence builder for us on this long journey throughout the rest of the season." "We knew before the game that it was going to be tough. I think we started the game good, with the right intensity on the court. And after that, Olympiacos is a great team, they came back. But you know, we tried to do the job together, and that's why at the end we could win this game. I try to do my best for the team. We know exactly what we need to do on this team. All the players know their roles, and this is important, to play like a team. So tonight I had to be aggressive. It was a tough game."